WHETHER YOU’RE TRAVELING FAR OR JUST TO THE BAR, A PARTY BUS IS A GREAT WAY TO GO. February 6, 2018 (Washington, DC) – With Valentine’s Day just around the corner, you may be wracking your brain trying to figure out what to do for your significant other. You’re thinking about all the usual things, such as a nice dinner at a fancy restaurant, a movie, or perhaps a quiet night at home. She wants better. You want something different. By considering a DC party bus service, you can deliver more than just different. 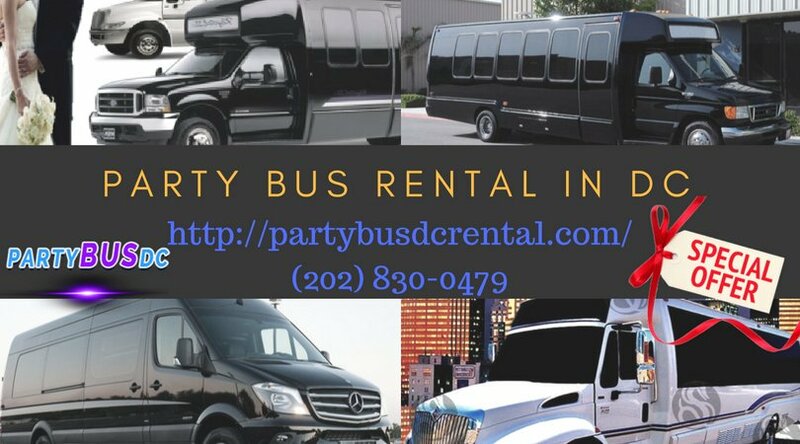 Party Bus DC is one of the most experienced companies when it comes to any type of bus rental in DC. They have been a DC charter bus company for more than 20 years. They understand what it takes to deliver exceptional customer service, get their clients to their destination on time, and treat them like a VIP. You probably never considered a DC charter party bus for Valentine’s Day or other occasions. Maybe you thought it was just for bachelor or bachelorette parties, prom, and other such events. No. It can be for any occasion. You might assume that a DC party bus service is just too expensive for you right now. You don’t want to spend several hundred dollars for a party bus on Valentine’s Day. Think about this: if you were able to get together several couples, all the men in those couples, and book this DC charter party bus together, the cost is negligible. You’ll spend more on your dinner at that fancy restaurant then you will individually if you spread the cost around among six or seven couples. You will ride in luxury. You will feel as though you all stepped into your own VIP section of your favorite nightclub. You will get to enjoy the nightclub style lighting, a flatscreen TV and DVD player (where you can play a special collection the memories you’ve put together), an open bar that can be stocked, if you choose, and open leather seating. 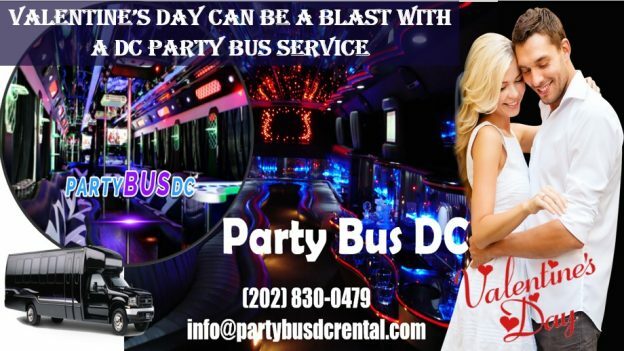 If that sounds like a great Valentine’s Day celebration, contact Party Bus DC 24 hours a day, 7 days a week at 202.830.0479. You can also a reservation through their website at www.partybusdcrental.com.